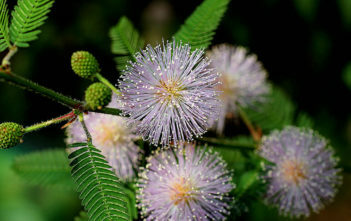 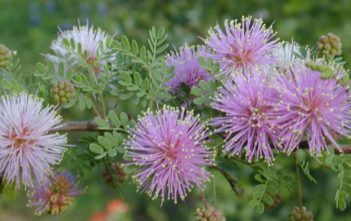 You are at:Home»Archive for "Mimosa"
Mimosa is a genus of about 400 species of herbs and shrubs, in the subfamily Mimosoideae of the legume family Fabaceae. 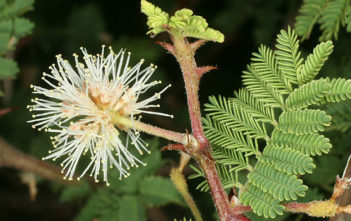 The generic name is derived from the Greek word mimos, an “actor” or “mime,” and the feminine suffix -osa, “resembling”, suggesting its “sensitive leaves”, which seem to “mimic conscious life”. 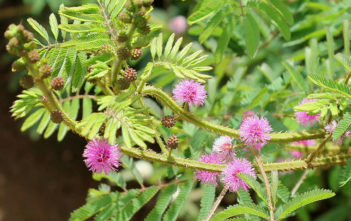 There are about 400 species.